This morning I saw a weird headline in the New York Times that really piqued my interest: “Coyote Roams Upper West Side, With Officers in Pursuit.” Of course, I had to click it and see if it was a joke. It wasn’t. 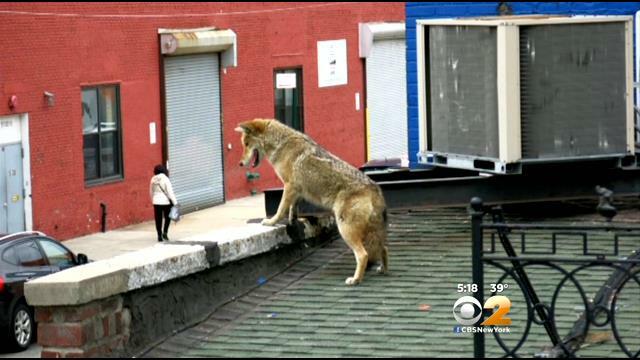 A wild coyote had somehow found its way into Manhattan and was roaming the streets. Earlier this month, the police captured a coyote in the Chelsea neighborhood of Manhattan by shooting it with a tranquilizer dart after a pursuit. Read More How the NYPD Is More Humane to Coyotes Than African-Americans | Alternet. This entry was posted in News from the Soul Brother and tagged coyotes, New York City, NYPD, police abuse. Bookmark the permalink.